here's a little-known fact about brazil: filipino-passport holders don't need a visa to go there! makes you want to go now, doesn't it? well, you can—for free! all-expenses paid trip PLUS you can bring three of your friends!! how? 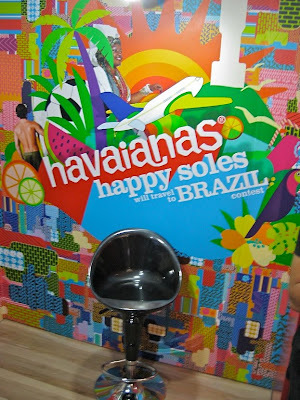 simply join the new contest of havaianas, "happy soles will travel to brazil"! all you have to do is make a one-minute video that answers the question "if anything was possible, what would you do to make the world happy for a day?" email the video to happysoles@havaianasphilippines.com or you can upload it directly to the happy soles website starting feb 18. don't have a video camera? no worries! 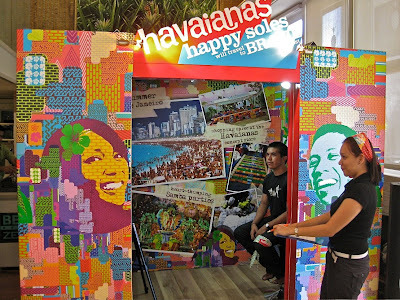 there will be havaianas happy soles roving video booths starting feb 8 in different malls all over the country (click on link above to get the sked). 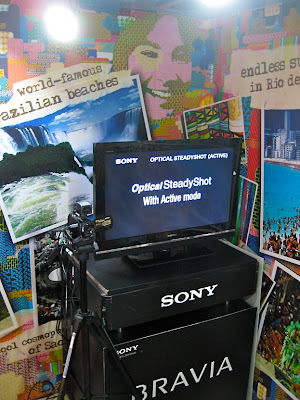 yesterday, we got to experience the video booth at a little media event held at the stock market. our answer was "to make the world happy for a day, i would win the lotto and share my winnings, so that we can all go shopping!" or something lame to that effect! for complete details on the contest, go to www.havaianasphilippines.com/happysoles. Unless am mistaken, think one still needs a transit visa for the United States to get to Brazil from the Philippines. No offense meant. Bakit nag click ang Havaianas sa Philippine market? Bata, matanda, bakla, tomboy, lalaki, babae, mayaman, at mahirap - lahat owns at least one pair of this footwear. Ang Havaianas ay hindi pinapansin outside the Philippines. In fact, tsinelas ko lang yan sa banyo. Maybe it should be the same analysis that should be done for the Filipino psyche regarding this: Bakit tumataas ang rating ni Villar kahit magnanakaw?